A growing number of mid-sized businesses are investing resources in the practice of financial planning and analysis — or FP&A, as it’s usually referred to. As we discussed in a previous article, many of these firms are benefitting from the forward-looking and strategic exercises that are part of the FP&A process. The goal of this shift, states the CFO.com article, would be to deemphasize the focus on short-term results and focus instead on strategies to position the company better for the long term. The fact is, many CFOs today are questioning the FP&A function that tends to focus on short-term results at the expense of longer-term goals. They are looking for strategies that include the realities of the business environment and aligning key business drivers with sound judgment when analysis is applied to their businesses. While FP&A professionals analyze their current financial results, they should also focus on their impact on the overall long-term goals of the business. In other words, FP&A must go beyond analyzing variances to plan. It needs to include identifying root causes of the variances with solutions and implications to achieving the company’s business plans and long-term goals. There is a school of thought that FP&A needs to be more “problem focused” with the analysis on clarifying the business problem. However, this approach is counter to the more conventional method of “answer focused,” which analyzes data and then provides an answer to the question regarding the problem in the results. Yet we all know there are few businesses with problems that have just one answer as the solution. Financial personnel are typically comfortable using data, but they’re often less comfortable when applying judgment in their data analysis, which is so critical in FP&A. The risk that comes into play is when there are large quantities of data and managing the ambiguity or judgment that influences the analysis. This risk may only increase in the future as finance teams find more ways to use data. The CFO.com article cites a study that found that spending on data analytics is up sharply. There are many potential negative impacts to failing to maximize your investment in FP&A. These include poor financial results and return on investment and inaccurate business assumptions and biases. Executives may also fall back on gut feelings and instincts if solid alternatives based on data aren’t presented. And they may not understand that while short-term decisions or targets may work temporarily, this can create long-term problems that undermine a company’s strategic vision. The best solution is to take an integrated approach to business planning that provides insights and sound judgment that enhance both operational and financial performance. Planning should be integrated with rolling forecasts and budgeting throughout the organization, with a focus on analyzing market indicators, operating processes and other business drivers that produce the desired financial results. Also, business departments and units should be incentivized to perform collaboratively, with viable solutions or options to problem solving across the organization as a whole. And complexity should be reduced — too many data sources make a single “version of truth” not only less obtainable, but also less accepted. § Improved economic results and coordination of corporate planning. § Greater timeliness and accuracy in decision making with broader analysis across the enterprise. § The ability to continually review challenges or opportunities and adjust plans in a timelier manner. § A stronger competitive position in the marketplace. A growing number of mid-sized businesses are investing resources in the practice of financial planning and analysis, or FP&A. 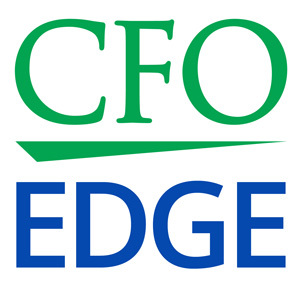 However, there have been rumblings lately that some CFOs aren’t satisfied with the quality of their FP&A functions. There are a number of potential negative impacts to failing to maximize your investment in FP&A, including poor financial results and return on investment and inaccurate business assumptions and biases. A CFO services professional can help you improve the quality of your FP&A functions and get the most out of your FP&A investment.